The legal profession is undergoing major and rapid change, and what Texas Law students need more than anything is guidance from the veteran professionals in our alumni community. There is no substitute for their experience. The Texas Law Mentoring Program makes sure those connections are available to every law student. Indeed, one of the law school’s most valuable resources, for current and past students alike, is our network of 25,000 alumni who are doing amazing and varied things around the world. 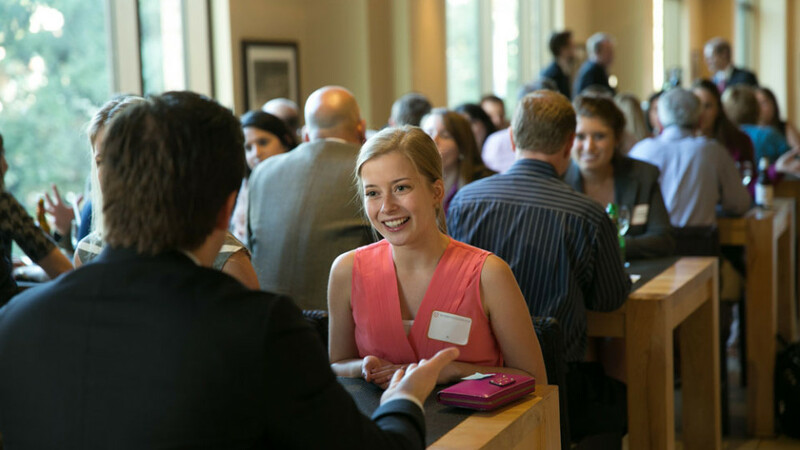 All members of the Texas Law community can be enriched and enhanced by forging connections with this alumni network, starting with the first day of law school. These relationships can guide you through law school and beyond. Take it from me—I’m an alum, too! For more information on connecting with a Texas Law alum, or how you can become an alumni mentor, you can contact me at mentoring@law.utexas.edu. But if you’re ready to take advantage of the Mentoring Program now, simply select the relevant button below to get started. I look forward to hearing from you.